Lake of the Ozarks Business Spotlight: Playin’ Hooky Water Taxi & Charters | Crystal Water Villas Blog - Lake of the Ozarks! One of the great things about the Lake of the Ozarks has to be the fantastic small businesses, ranging from restaurants to lake tours and everything in between. We are going to be interviewing owners of businesses to give you a better sense of what the lake is all about. Our first interview is with Jim Bascue, USCG Licensed Master Captain and owner of Playin’ Hooky Water Taxi & Charters. 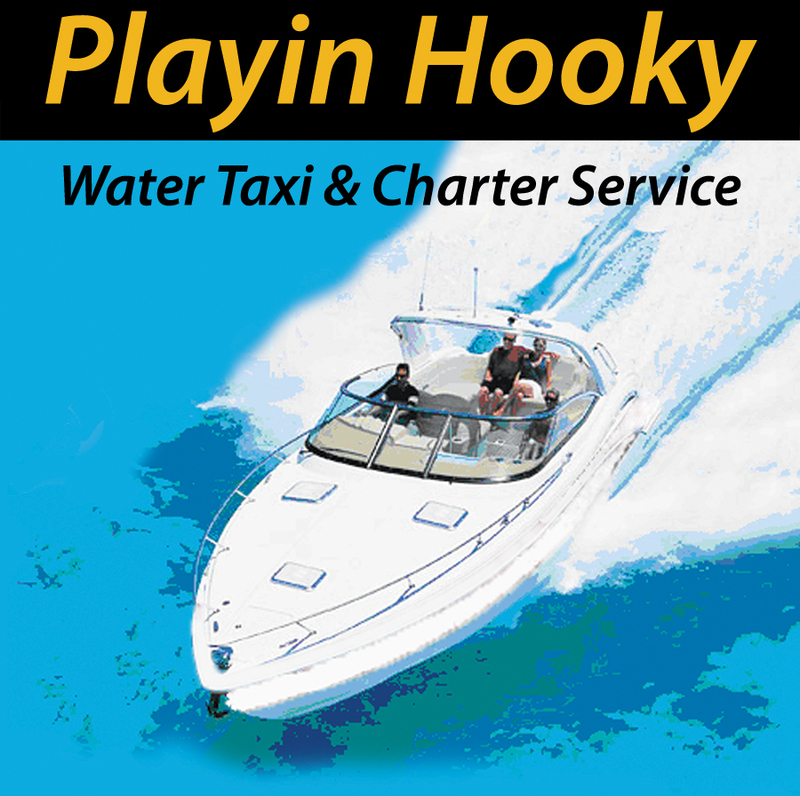 Q: Introduce yourself — How did Playin Hooky Water Taxi & Charters come about? A: Wherever a person calls home, going on vacation usually means traveling several hours away to a destination that they don’t often get to visit. When considering what I wanted to do when I retired, I would dream of running my own business on the water in one of the many places I had vacationed. Being born and raised in Missouri, after retiring I realized that what I had dreamed about was in my backyard. Being on the water is a peaceful & relaxing way to spend time with family and friends. Often when I would be out and see young families without a boat, I would think to my self they don’t realize what they are missing. Taking time out to get away and visit the lake is great, but when you get out on the water you see it from a totally different view. Just watch a child’s face when they get to ride in a boat. One day during dinner my wife and I were talking and realized that there was a real need for a service that allowed people coming to the lake to get out on the water. Whether it be a group looking for a night of entertainment, a couple wanting to go on a romantic ride across the lake for dinner or a family wanting to take their kids for a ride, a Water Taxi was the answer! Since starting last summer we have received a warm welcome from the community and the property owners in the area. We have had numerous people contact us that own or rent property at the lake who are excited that now they can safely get out on the water to go to their favorite restaurants and entertainment across the lake. Q: If you had to recommend one package/tour you offer for a family, what would it be? What would you recommend for a couple? A: For a family or a couple, you don’t have to spend a lot of money. Just remember you’re at the lake, relax and spend time together. Chose a destination, there is great food and entertainment all around the lake. Enjoy a worry free boat ride getting there, then relax and enjoy. Q: What is your favorite event that goes on during the summer at the Ozarks? A: I’m not sure that I could pick one thing. There is so much going on at the lake every summer. No matter what your age, or your interest there is something for everyone here. Q: What do you love most about summer at the Lake of the Ozarks? A: The people, whether your talking about waiters/waitresses, entertainers, shop owners, or visitors coming to the lake, everyone is always happy, considerate and in a great mood. A: Coming this summer we are excited and proud to announce that we are purchasing a 40’ passenger boat that after USCG inspection should carry around 35 passengers. We hope to have it in service by May 1st. To our knowledge this will be the first time that there has been a passenger boat at the lake of this size. Using this boat will enable us to run a scheduled route where guests will be able to hop on and hop off where they like, as well as carry large groups for charters. Details will be coming soon on our website at www.playinhookyatthelake.com. We look forward to seeing you at the lake!